Yembe has always had high expectations for himself. “My name… means ‘Behold Wonders,’ and one of the biggest goals of my life has been finding the wonders my grandparents and their grandparents before them were looking at when they thought that name up,” he said. His home, Cameroon, is one of the most politically and economically stable Sub-Saharan African countries. However, it lags behind the developed world in many respects—Yembe was 19 years old the first time he stepped into an elevator. Economic development in Cameroon is slow, in part because of a lack of access to technology. Just 18% of its 24 million citizens have access to the internet, and even fewer own a personal computer. Without technological resources, young people in Yembe’s country—and more than 60% of Cameroonians are under the age of 25—struggle to get the education they need to provide skilled labor to employers and better their lives. Without that education, without those resources, Cameroon’s ability to keep up with other leading nations of the world community is inhibited. Yembe has worked very hard to change the trajectory of Cameroon’s future, and his efforts have made an impact. In 2017, he was awarded a Mandela Washington Fellowship, which brings promising leaders in Sub-Saharan Africa to the US to study at a college or university. After their education ends, Fellows like Yembe return to their home countries and receive continued professional development support. His vision for these Digital Spaces inspired Chad and Susan, and they started exploring the EITK community for a corporate partner that could bring his ideas to life. They shared his story with Aileen Allkins, Microsoft Corporate Vice President, Customer Service & Support. Aileen reached out to her network and contacted Tek Experts, which uses an expert workforce to provide business and IT outsourcing services. 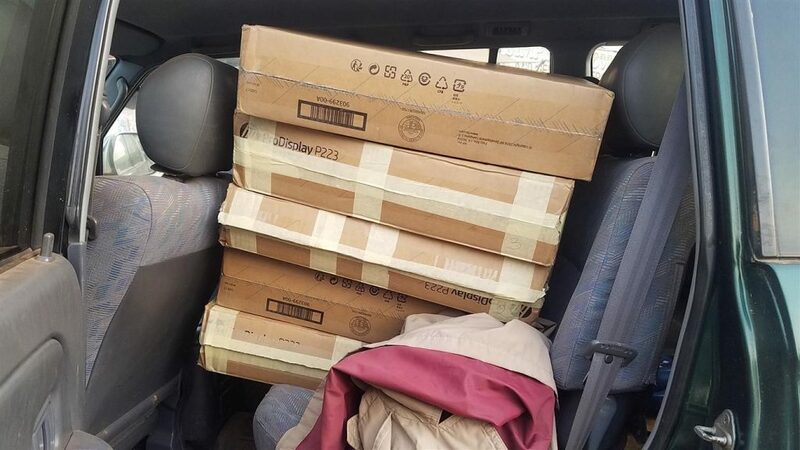 The company pledged their support: Tek Experts would donate 20 laptops to Yembe’s Digital Spaces project. In addition, Susan would bring her expertise to Digital Spaces as a board member. Though Yembe’s mission was one big step closer to being fulfilled, the reality of Cameroon’s political landscape soon intruded. First, the government turned off the internet for several weeks because of political unrest, delaying important conversations. He created a non-profit, then had to re-submit the paperwork. 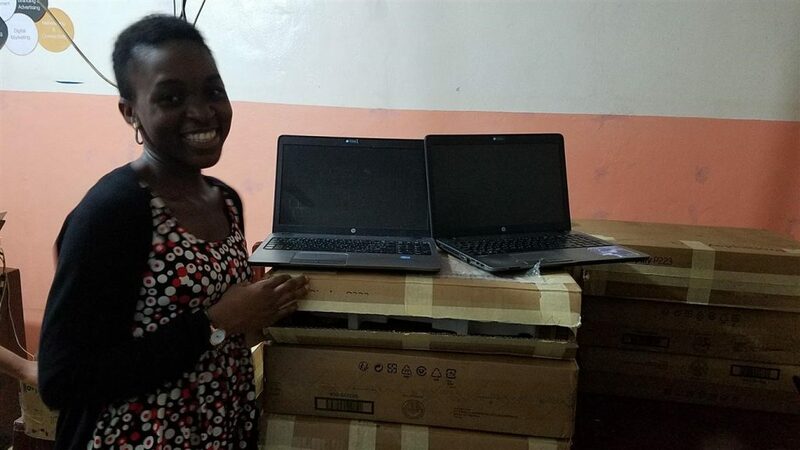 After working through those obstacles, the laptops were shipped and arrived in Cameroon. One last stumbling block appeared: custom duties of $200 per laptop had to be paid before the computers would be released. After more than a week of negotiating, Yembe brought the duties down to $1,000 and finally Digital Spaces had its first pieces of equipment. The struggle to get just 20 computers illustrates the barriers he faces in his quest to provide access. Yet he remains dedicated to his goals, which extend far beyond Cameroon’s borders. His vision for Africans is ambitious, but he has created a roadmap for getting there. The most successful CSR programs are inextricably linked to organizations’ core values. “Tek Experts built its business on offering exceptional career and development opportunities to our employees around the world and when we heard Yembe’s story, we really wanted to help,” Raymond Murray, Global Marketing Director, said. This story proves our networks are a vital resource for our social responsibility efforts. From Chad and Susan, the story traveled to Aileen and then on to Raymond. At every step of the way, Yembe’s inspiring story moved people to action. From assisting individuals like Yembe with their goals, to multi-million dollar charity projects, corporations can do good in many ways, large and small. The best organizations will work on unlocking possibilities, not chasing profits. If Yembe’s story galvanized you into action, reach out to us at info@execsintheknow.com. We’d love to hear the stories that inspire you—and leverage our community to help—or discuss how you can give to the Digital Spaces project.